Didn’t they turn out SO pretty?! And the best part is, they taste delicious too! The cupcake itself is not overly sweet and to me has a nice, strong cocoa taste. 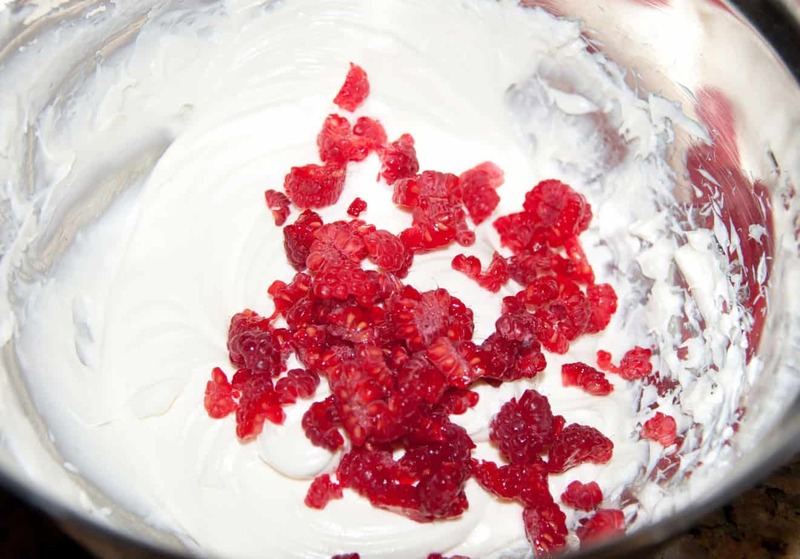 The frosting is cream cheese-y and since it’s made with marshmallow cream has a great sweetness to it and the raspberries add a perfect bit of tartness to the whole package. First I started by preheating my oven to 350°. Then I combined my dry ingredients in a bowl and set them to the side. 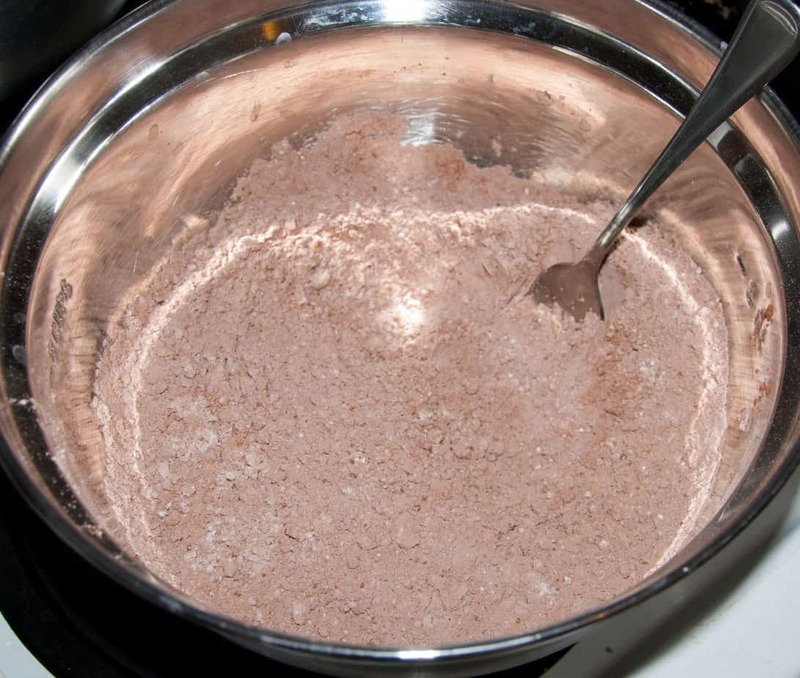 Gradually mix in your dry ingredient mixture until blended. Be sure that you don’t over mix. This recipe made me exactly 18 cupcakes. I filled each cup 2/3 full. Now pop those bad boys in the oven! I baked them for 18 mins and then checked…they were well formed but not completely cooked so I put them in for another 6 mins. By then the toothpick came out clean and they were ready to cool! Don’t over bake! 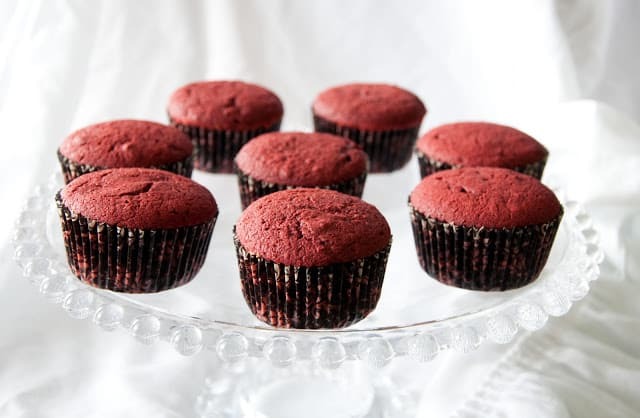 You don’t want to be stuck with a dry, crumbly cupcake. Yummy and very red velvet-y! While your cupcakes are baking, you can get your frosting together. 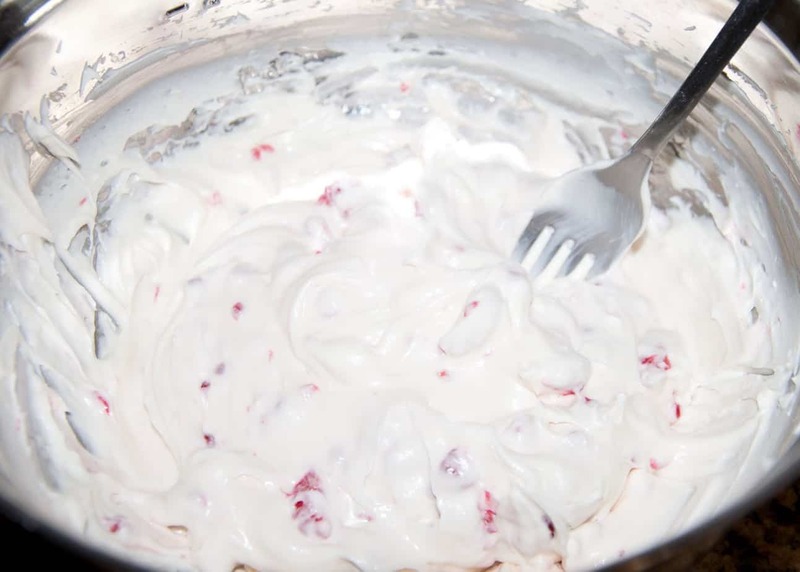 It’s amazingly easy with only three ingredients! 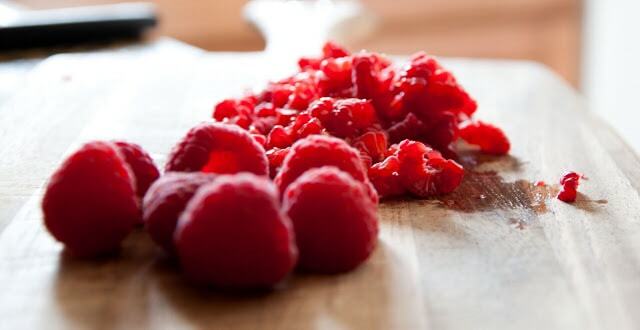 First take about 1/4 to 1/3 cup of FRESH raspberries and chop them. I used them right out of the fridge so they were nice and cold and didn’t lose too much juice while I was chopping. You don’t have to chop them real fine. Nice, small chunks are good! Now after you have done that, take an 8 oz package of soften, room temperature cream cheese and a 7 oz tub/jar of marshmallow cream. 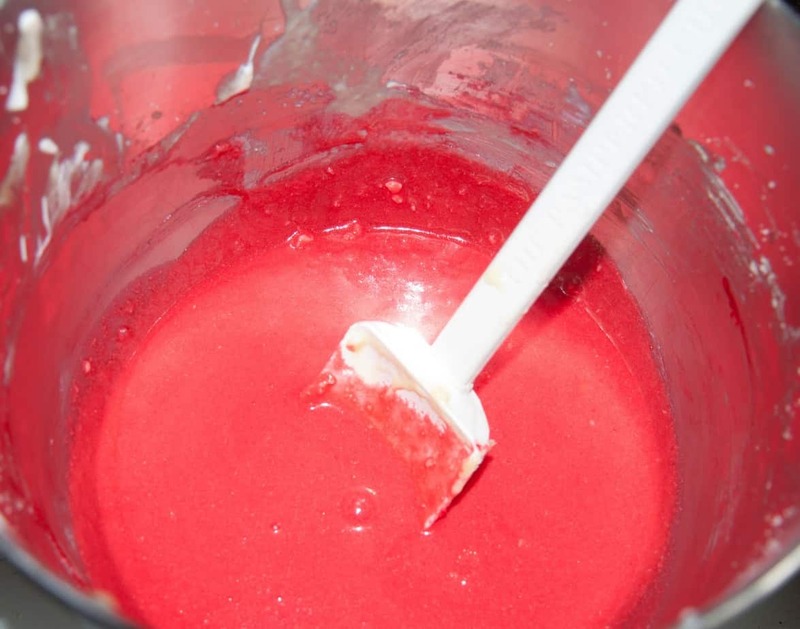 Blend those together on medium until smooth and creamy. I used a fork to carefully mix in the raspberries. 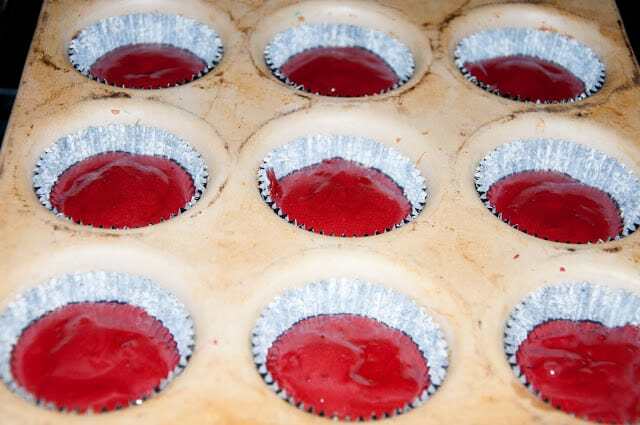 Let the frosting hang out in the fridge until your cupcakes are cooled and ready to frost. These look AMAZING. 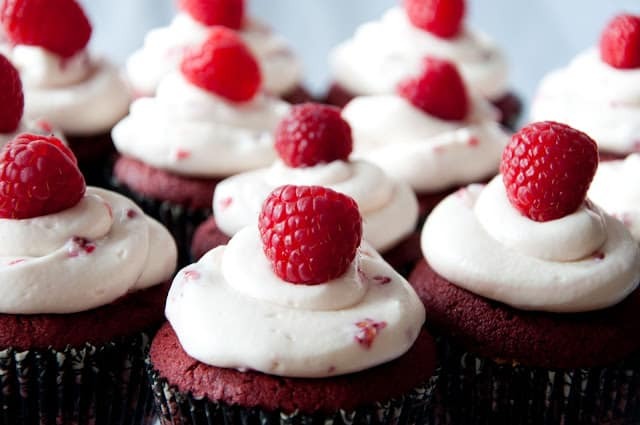 I love the real raspberries in the frosting. 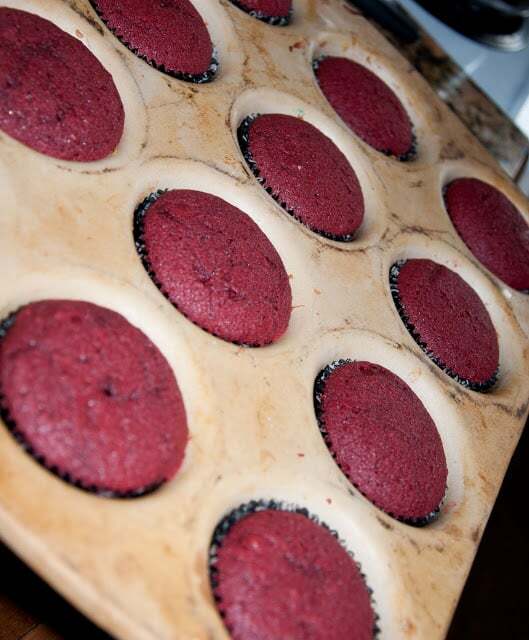 I haven’t tried red-velvet anything before but it’s def on my list! You should come and link this up to my new linky party that closes Sunday night. Thanks so much Amanda! I’ll definitely link up at your party! Thanks again! YUM! These look delicious AND Beautiful! I would love it if you would link this up to the Tuesday Talent Show this Tuesday at Chef in Training! I hope to see you next Tuesday! So pretty! 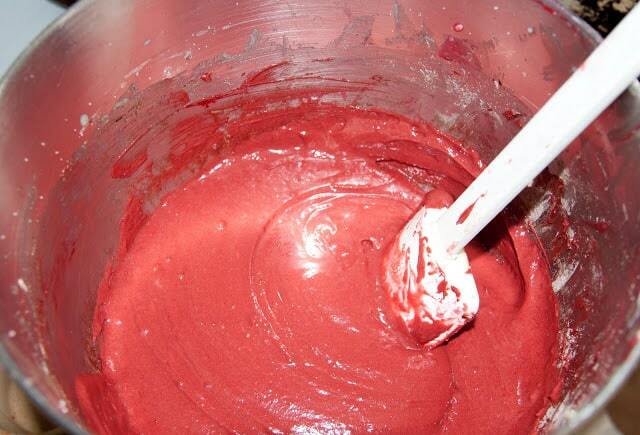 I love the way red velvet looks. Perfect for valentine’s day! Your cupcakes look gorgeous! I’ve never seen red velvet and raspberry together. Bet it’s delicious. Thank you Christin! 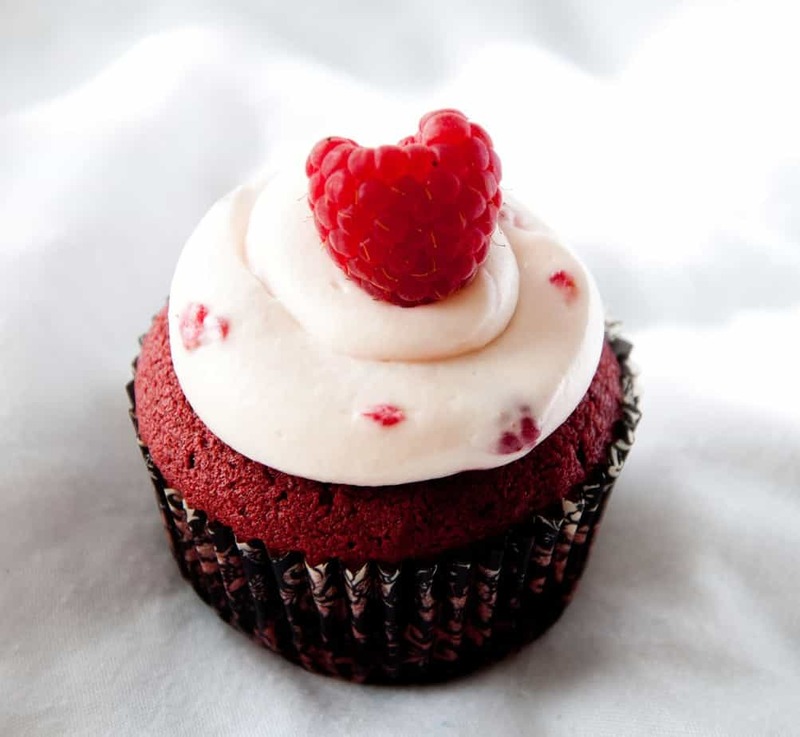 I wanted to do something different with the frosting, but still keep it Valentine-y…so I went with the raspberries. I’m super happy with the way they turned out! These look so delicious and are so pretty! Great job! PERFECT for Valentine’s Day! These are so beautiful and I’ll bet they were delicious too! Thank you Whitney!! 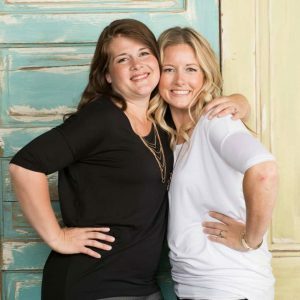 We’re so glad to have you here! Just made some for my friend’s potluck bday celeb! Sooo yummy! Thanks for the recipe! Congrats! You’ve been featured at The Kurtz Corner! AND you’ve been Pinned on The Kurtz Corner Features Board! Come check it out 🙂 Can’t wait to see what you link up this week! GORRRRRRRRGEOUS! I’m not a cupcake fan, but these are lovely. I’m featuring this week on Topsy Turvy Tuesdays, thanks again for linking up! I will be featuring you tomorrow. Thank you for linking up to Fabulous Friday! Thank you for the feature Ashlee!! Hello, is it 1 cup + 2 tbsp of sugar? These look so good! 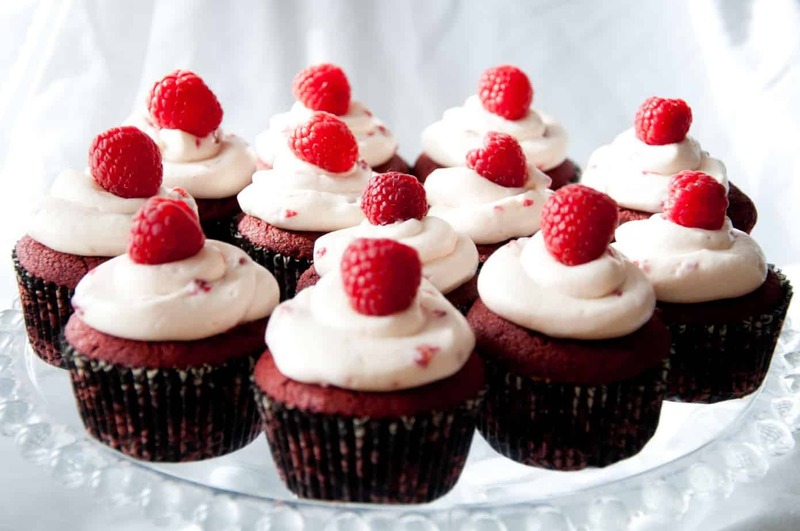 I LOVE red velvet and raspberries so I’m going to have to try these soon. 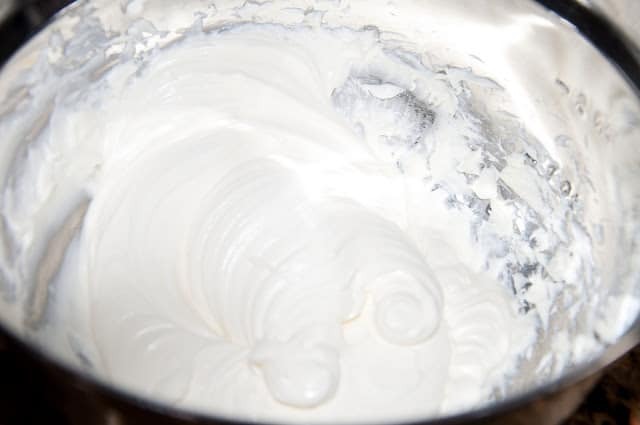 You are amazing at frosting those… I can’t believe that is just from a ziploc bag… you are awesome Paula!! Would I be able to make this as a cake instead? What size of pan would you recommend me using? The recipe only makes 18 cupcakes and I haven’t made it into a cake. I would assume it would make a decent one layer 8″ cake. Hope that helps a little!